Energy bills are predicted to increase by 40% over the next 10 years. Take steps to reduce your energy bills and limit the impact of future price increases. BlueBuild Energy has carried out over 500 installations in NI over the last few years including many commercial premises. 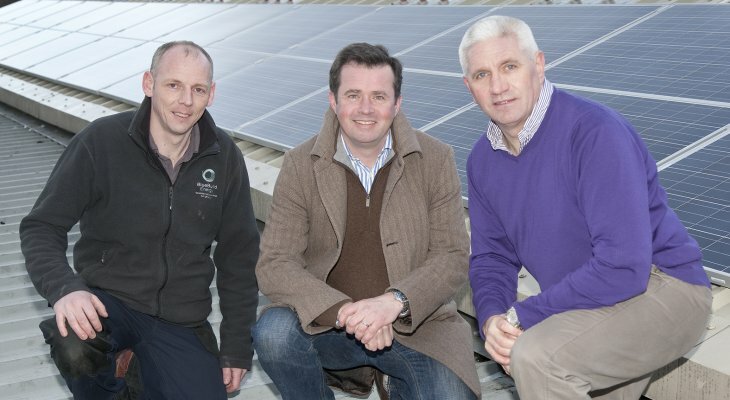 In February 2014, BlueBuild Energy installed a 20 kW PV system on Helen’s Bay Golf Club and also on the premises of the County Down Spectator. Excess energy is exported back to the grid and is an additional revenue stream. You will be able to use the electricity for FREE, therefore hugely reducing your electricity bill. You should be aware that profit will only be made once the initial upfront cost of purchasing the system has been covered.